Nutritional Seeds Make A Great Snack For Your Skin! Seeds make one of the top healthy nutritional snacks to eat and therefore they are very beneficial for your skin as well. So, let’s have a look at some healthy seeds you can enjoy at any time of the day. There is no way you have not heard about Chia seeds which come from Mexico or Guatemala. They are said to be one of the richest omega-3 fatty acid sources and specifically of A- Linolenic Acid. They are an excellent source of fiber but also contain a high quality protein, which is something rare when it comes to plant foods. Other important nutrients include calcium, phosphorus and manganese. Also, the oil that comes out of the chia seeds is extremely nutritional since it contains a high amount of omega 3 fatty acids as well as omega 6 and 9 in smaller percentages. There are numerous and easy ways to add chia seeds to your diet since they are tiny and do not have a weird taste. 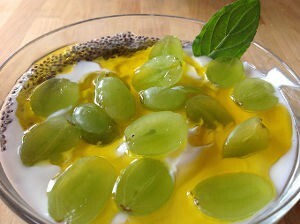 The easiest way I consume them is by adding them to my yoghurt together with some fruits and honey. People also use them in their bread recipes or cakes. Salted Sunflower Seeds make an enjoyable snack although the unsalted version is for sure the one that is healthier. Sunflower seeds and pistachios contain the highest amount of plant sterols. They are also one of the richest natural sources of vitamin E which is a powerful antioxidant that protects skin from aging. Other important nutrients they contain are B1, B5 and folic acid. A little honey, a little cinnamon and some sunflower seeds in the yoghurt can make a delicious healthy snack suitable for all times of the day. You can also use them in green salads. Pine seeds taste yummy as part of the turkey stuffing. They are rich in good fatty acids, vitamins, proteins, metals and minerals. The only downside, though, is that they have some extra calories and they can be a bit expensive. They are great in rice dishes and they can nicely be added in stuffed vegetables like peppers or tomatoes. You can also enjoy them in green salads and in some sweets. Flax seeds are extremely nutritional and are well known for the high percentage of omega 3 fatty acids they contain. They are also rich in calcium, vitamin E, proteins, fiber and good fatty acids that are very beneficial for the skin. They are low in sodium and free of gluten which makes them more easily digestible for people who deal with gastrointestinal problems. You can consume flax seeds in different ways. Just enjoy them in your cereals or added in your yoghurt, salads, homemade bread, cookies and cakes. Pomegranate seeds are not dry seeds, so you need to buy the pomegranate fruit and clean it to take out its red pearl looking seeds. Pomegranate is one of the top health nutritional foods with plenty of benefits including anti aging. It is low in calories and rich in carbs, vitamin C, calcium and antioxidants. It contains anthocyanins, tannins and polyphenols. In fact, pomegranate juice contains more polyphenols than red wine, grapes, green tea or orange juice. It is worthwhile mentioning that even a small glass of pomegranate juice covers up to a great extent the daily dosage that our body needs to deactivate the free radicals that are responsible for aging. There are numerous ways to enjoy pomegranate seeds. They are wonderful to eat fresh and delicious when contained in juices, smoothies, various types of salads, sweets or sauces. All in all, adding some of these healthy seeds to your daily diet can offer you valuable health and skin benefits in a quick and enjoyable way.